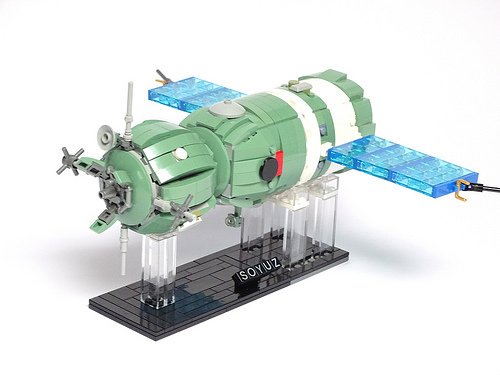 The Soyuz module in particular is worth a closer look, with complex, compound curves and lovely white stripes. 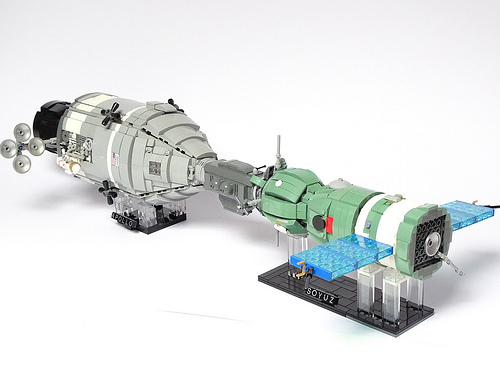 The interior is large enough to hold two minifigure Cosmonauts. 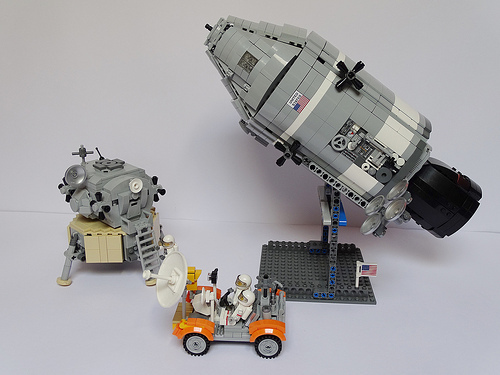 Luis actually built the Apollo CSM a couple years ago for a series of LEGO Apollo creations, including a Lunar Module and Lunar Roving Vehicle or “moon rover”. Thanks for building this, it is gorgeous!